Well, with a little luck, parts of the build can be reused for the new one! "To specify a numeric argument for a command, you hold down any combination of the CTRL, META, SUPER, and HYPER keys while pressing the desired numbers." I challenge anyone to find a more powerful number than CTRL-META-SUPER-HYPER-7! Just watched the latest episode of The Orville (S02E07-Deflectors.) It was good. They're doing "Star Trek" better than Star Trek is. Especially considering how messed up Star Trek is now. I'm saving season 2 until it's complete, but season 1 was good! Build the peach! Build the peach! 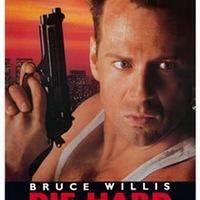 nukem, McClane, Stephen Sekula likes this. Oh ouch ouch ouch. I was eating the ice cream too fast. It feels like a knife stabbing in my head. Please remain seated until the compiler has come to a complete stop. Sean Tilley, clacke@libranet.de ❌, AJ Jordan, Tyng-Ruey Chuang and 2 others likes this. ... until the compiler has effectively ground to a halt. That's when the 4 GiB working set is out on swap. Trump is a mean old troll, and we feed him too much. I gave the boy cat some catnip. He's rolling around in it on the floor. It's like he's saying "OMG I'm sooooooo high"
The cat meows, I meow back. This repeats until he eventually walks over and wants to me to pet him. Sometimes the boy cat will wander into my bedroom when no one's in there and start meowing loudly. I'm not sure what's up with that. My roommate says he's summoning satanic cat spirits. Sounds about right. I can smell the Apple pie cooking in the oven. Merry Grav-Mass everyone! Remember: Gravitation is a well-established scientific theory, but Intelligent Falling is just religion pretending to be science. May all your falls have soft landings! Happy Holidays. GNU Linux-libre 4.20 is now available in my APT repository, compiled for 9 different CPU architectures: https://jxself.org/linux-libre/ Enjoy!